Hello Guys; we continue to talk about Uptherium ICO. We will review the solutions of the Uptherium about Crypto and the Uptherium Ecosystem today. Earn crypto by using Uptherium. How? By verifying transactions through the Proof of Stake protocol (PoS), spreading the word through Proof of Action (PoA) and through our exclusive revenue sharing programs. Like the blockchain that powers it, Uptherium is a global project. Our apps are designed to help you use crypto no matter where you live or where your travels take you. Our community is growing, its a movement with great possibilities. Uptherium is the platform that grows with you. You’ll get a vote on which projects we develop next and add to the platform to make your user experience better. With Uptherium you have a voice. The UPZ token powers all the transactions on Uptherium. It’s designed with fast settlement times and low transaction fees in mind. 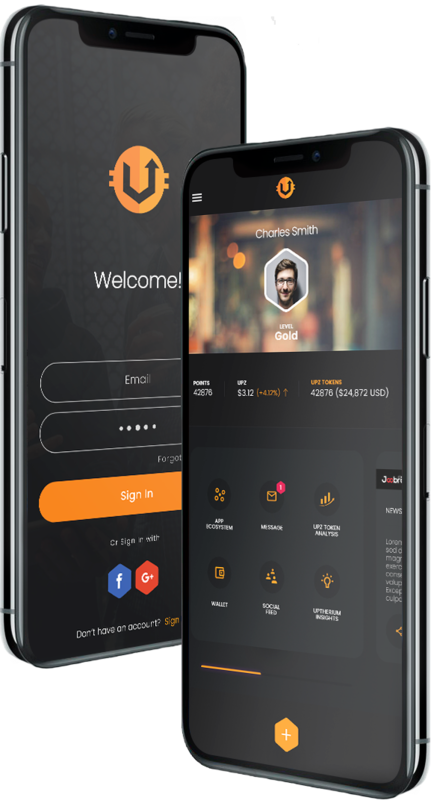 Each Uptherium app is designed to cooperate with the rest of the network and create a seamless experience. That’s why we’ve developed a thorough vetting process for each app that gets added to the network. We bootstrap new app projects with developers and creative talents bringing the best, brightest, truly useful apps to you. Before we share our difference, make note that quite a few blockchain startups get it wrong with a weak singular product, service or aim that they hope works out and most crypto users have more than 5 different places they have to go to manage their crypto. Uptherium puts a stop to that and brings it all together by simplifying crypto for all, making the whole crypto experience much easier, engaging the voice of the community for better apps they want to see, and building reward economies around each app solution making sure we all share in the revenue even the from the apps you may not use. Our core 5 apps support the ecosystem making us strong. For more information, you can visit https://uptherium.io/ and read the details.